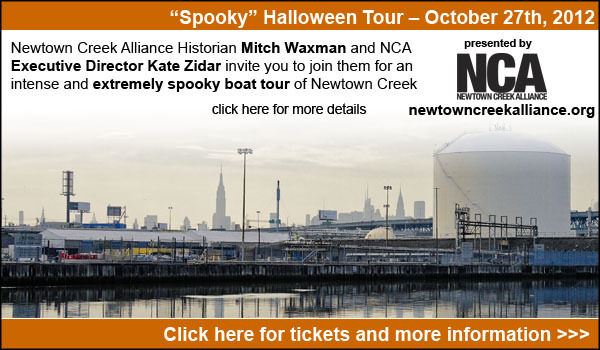 The scions who run the Newtown Creek Alliance declared that we all gather for a meeting recently, and not wanting to be mocked in absentia (rather in person), your humble narrator set out for the gathering. Only issue with this caucus was that it was being held in far off Ridgewood at the Onderdonk house, which is a pretty long walk from Newtown Pentacle HQ here in Astoria. After having moved things around, schedule wise, a vast scuttle was instituted. 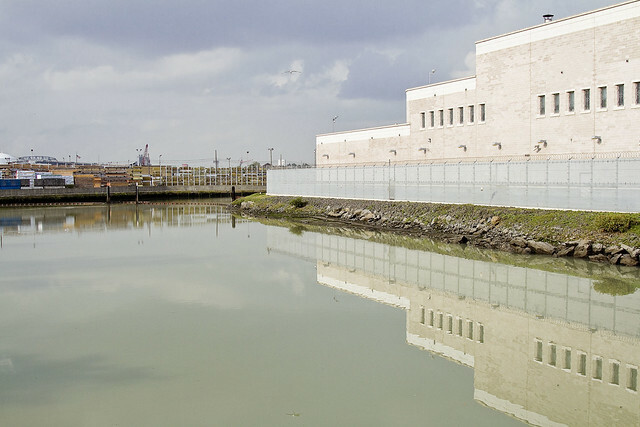 The shot above depicts the East Branch of the Newtown Creek at its terminus on Metropolitan Avenue. Along the way, I decided to check out the Scott Avenue footbridge. 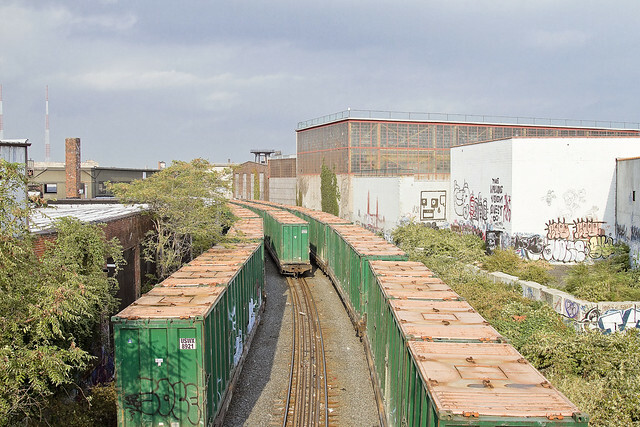 This is a rusted metal and rotting concrete structure which rises over the tracks of the LIRR’s Bushwick Branch, allowing pedestrian traffic egress to Flushing Avenue- a structure seen from distance but never traversed. Due to the aforementioned distance from my quarters, it will be admitted, this is the section of the Newtown Creek watershed with which I am the least familiar and one which still offers pleasant surprises when visited. 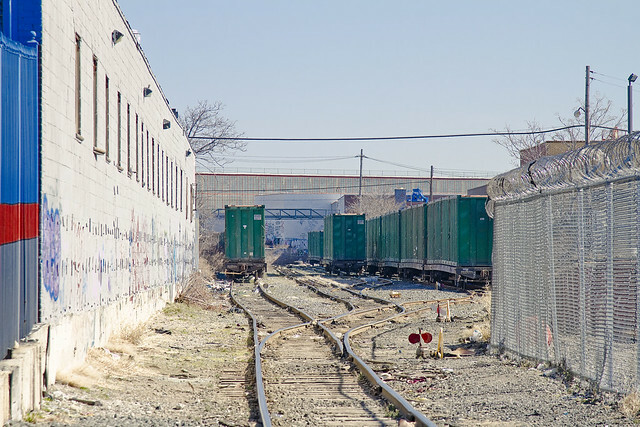 In the shot above, what you’re looking at is the northward facing tracks of the Bushwick Branch as they head towards Fresh Ponds. The inverse view, to the south and the infinity of Brooklyn. 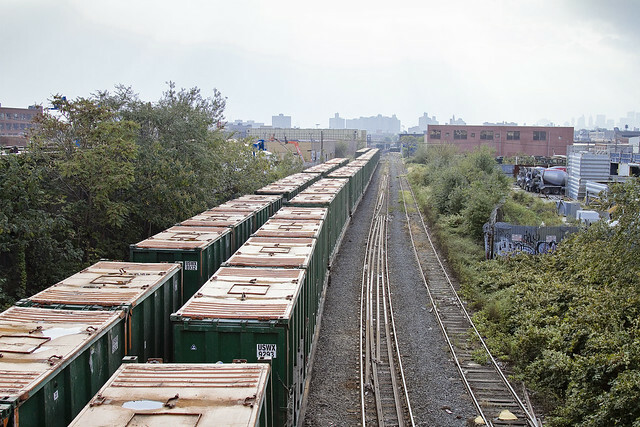 The train cars, homogenous and numerous, are awaiting service by the NY and Atlantic freight railway. 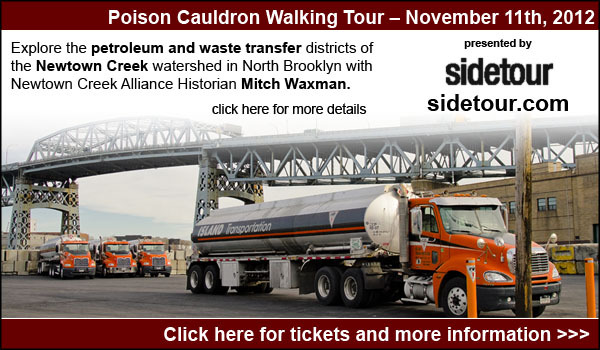 What is colloquially known as the “garbage train”, they are gathered for usage at the Varick Street Waste Management facility which is nearby and adjoins the bitter end of the Newtown Creek tributary known as English Kills near Johnson and Morgan avenues. 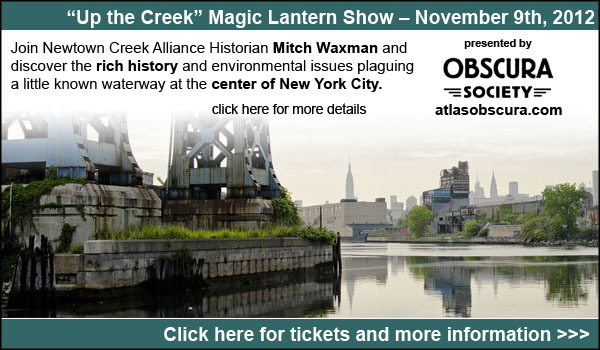 The undefended border of Brooklyn and Queens is also present in this shot, although I cannot tell you exactly where. Additionally, I am unsure as to whether these cars were loaded with their putrescent charge when I gathered these images. 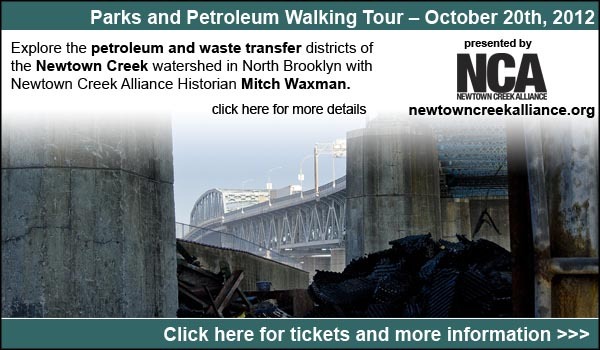 The Newtown Pentacle postings “approaching locomotive” and “skillfully wafted” discuss the Bushwick Branch and the Waste Management facility at Varick Street in some detail, why not check them out? Luckily, lords and ladies, your humble narrator goes to these spots so you don’t have to. If you did want to see some of the wonders described within these postings- why not consider coming on one of the upcoming excursions I’ll be leading?